Psychoanalysis began as a treatment for hysteria over a century ago, and recently has returned to hysteria as a focus, most notably in the works of Christopher Bollas and Juliet Mitchell. This provocative and original book critically engages with psychoanalysis and in particular the phenomenon of the return of hysteria to analysis, from a Jungian perspective, asking such questions as, what is the purpose of the concept of hysteria in psychoanalysis? What does it say about the concept of the soul, and of the analytical culture? What place does spirituality generally have in psychoanalysis - what place for the dove in the consulting room? 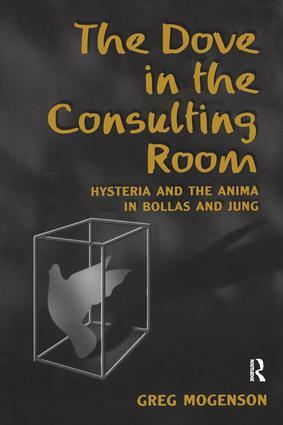 Drawing on the works of Jung, Bollas, Hillman and Giegerich, the author provides a rich rejoinder to Bollas's proposed theory of hysteria, and provides a unique Jungian analysis of analysis itself - both Freudian and Jungian. The Dove in the Consulting Room is illuminating reading for the professional analyst and for anyone interested in the spiritual and cultural importance of psychoanalysis and analytical psychology.